Home > Investor Relations	> Why should I invest in your fund? 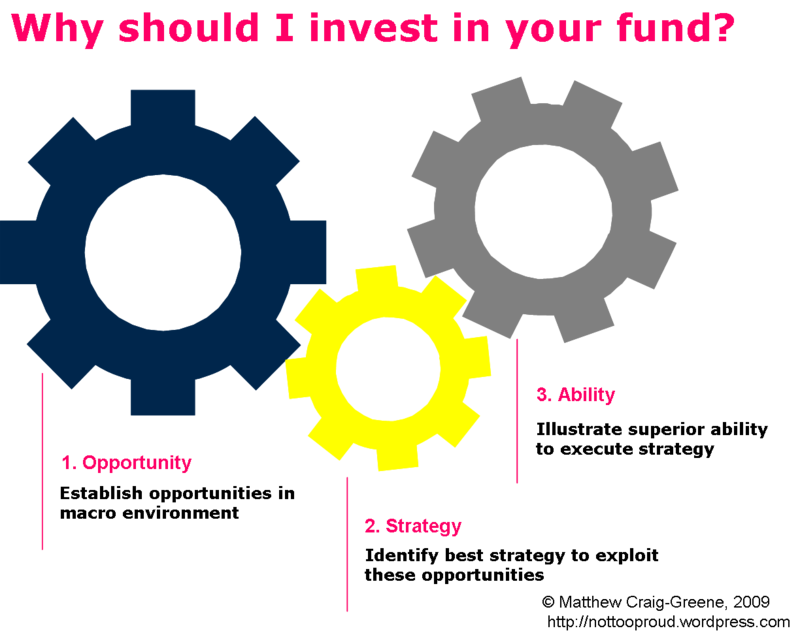 Why should I invest in your fund? 3.This manager is the most able to successfully execute that strategy. With legally required disclaimers the only exception, I believe these are the first three ideas an LP should see when opening any fundraising materials. These three concepts should inform the content throughout. And that includes the cover.